When you first consider the advantages of taking an online course through DCU Connected a number of questions usually come to mind. Our support team are always happy to answer your questions but we have also prepared some responses below to many of the common questions that arise. Let us know if you think we should add any items to this list of FAQs and please do not hesitate to contact us should you require further information. We look forward to hearing from you. All DCU Connected’s undergraduate programmes are modular and tuition fees are payable on a module by module basis (i.e. you pay only for the modules you are taking the forthcoming academic year). Information on undergraduate programme fees is available here: https://www.dcu.ie/connected/What-it-Costs.shtml At the postgraduate level, tuition fees will often vary depending on the nature of your programme of study. Please see the specific programme sections. You should also budget for textbooks and other incidental costs such as internet connection charges, printing, and potentially some travel, etc. Registration is when you decide which modules you will undertake for the coming academic year. When and how does Registration take place? Registration takes place online in August and September and, for some postgraduate programmes, it also takes place in January. There is no attendance required for registration. As the DCU Connected’s programmes are predominantly online, students need to have access to a personal computer. Extensive use is made of e-mail for communication with students. In addition, the digital platform, Loop, is used to provide students with study materials, interactive activities, course assignments, past examination papers and other documentation. Also, students submit assignments online and can access tutor/lecturer details, assessment and examination marks. Most importantly, substantial tutor/lecturer support is provided online. So, regular access to a computer with a broadband internet connection is essential. Students should also have access to Microsoft Word. In addition, students on the BSc programmes are required to have access to Microsoft Excel and Access. If you do not already have access to this software, then we suggest you purchase a student edition of Microsoft Office, which is available at minimal cost. Your learning experience as a DCU Connected student is enhanced through the use of learning technology and rich digital media. We understand that students will have varying degrees of technical experience and ability when they begin their studies. Due to the key role technology will play in your studies you should be ready to engage with relevant technologies to a minimum level when you begin your studies. That is, you should be familiar with using email, browsing the Internet, downloading files, managing files in folders, and using the word processing package Microsoft Word. when you begin your studies you will then further develop your skills with using technology as you study. Becoming more confident in the use of technology will then help you succeed as an Online Distance Learner. ○ https://alison.com/ provides free online courses such as: Microsoft Office 2010, Computer Basics, how the internet works. ○ https://learning.mozilla.org/web-literacy have created a useful series of free web literacy resources. ○ https://www.bettercloud.com/ has tips and tricks for using Google apps and Office 365 Online. ○ https://digitalgarage.withgoogle.com/ has free tutorials produced by Google. ○ https://www.microsoft.com/en-ie/learning/training.aspx provides training and support for products like Word, Powerpoint and Excel. ● A model running at least OS 10.6.8 that meets or exceeds the requirements listed above for PCs. While most new Macs will meet these you should check this with the retailer from whom you are obtaining the computer. Please note that, where students are provided with software by the University, for example SPSS, it will be for Windows Computers. In these instances it is not possible to provide Apple-Mac versions of software. *Please note that some of the DCU Connected Information Technology and Language Learning programmes have specific technology requirements that are different from those stated above. How much experience with computers do I need? It is expected that DCU Connected students will have a basic level of computer literacy. Ideally your competency level should be equivalent to the European Computer Driving Licence (EDCL) (www.ecdl.com/). Students must be familiar with using email, browsing the Internet, and using the Microsoft Word processing package. Within your programme of study students will then develop their computing-related skills and competencies. The main thing you need is a willingness to learn as we strive to ensure that online learning is as simple as buying something online. If you have any doubts, then you may wish to complete a free online short course (i.e., MOOC) to get some first hand experience of online learning. What supports are in place for students? Tutors and our lectures more generally provide two types of support - online and face-to-face support. Online tutorial support replicates the classroom experience and takes a number of forms. On all DCU Connected’s programmes, students are registered in an online learning environment called Loop. In this environment, students can communicate with their tutor/lecturer and with the other students in their tutorial group in online group discussion forums. Our teaching staff may recommend appropriate online (and offline) resources. They may also suggest discussion items or online exercises. Except when privacy is an issue, all communication between students and online tutors/lecturers takes place in the online group discussion forums. Students may also make use of an online chat facility. As part of Loop, increasing use is being made of 'live' online tutorial classrooms or webinars using a system called Adobe Connect. This system allows students to go online at specific times and receive instruction, interact with their tutors and fellow students, etc. The major advantage of this form of tutorial delivery is that students can participate from anywhere (work, home, etc) that has a reasonable internet connection. Another advantage is that they can be recorded and viewed later by students. In some modules students are able to participate in face-to-face classroom tutorials. Classroom tutorials are intended to provide an opportunity for group discussion and amplification of issues in the course manuals, textbooks or assignments. To ensure that tutorials are lively and stimulating, participants usually are expected to prepare in advance by reading relevant material and, if appropriate, by advising their tutor/lecturer of particular topics that they would like to have included in the session. Classroom tutorials are usually offered over two or three hours' duration and are nearly always held on the weekend on a DCU or partner institution campus. With a small number of exceptions (on advanced modules) attendance at tutorials on all DCU Connected’s undergraduate programmes is optional. Assessment of academic performance on most modules of DCU Connected’s programmes is through continuous assignment work (assignments) and examinations. In general, participants are required to complete a number of assignments (normally three) for each module they are studying. The role of assignments is primarily to develop learning skills and active learning. You will benefit far more from active engagement with course assignments than from passive reading of course notes or texts. Reading of required and optional textbooks and frequent reference to relevant journals is also an important element of active learning and assignment preparation. The use of the Internet in researching assignment topics is also required in most modules. Participants make use of word processing software in preparing and submitting their assignments (and sometimes other software, including spreadsheet software the use of drawing and presentation tools). Word processing of assignments is a minimum requirement. Submission dates for assignments are milestones in each academic year. In general there is one three-hour examination per module, held at the end of the academic year in May. There is also resit examinations in August. Some modules do not have examinations. Students can sit their May examinations in DCU, UCC or NUIG. The August examinations are held in DCU only. Examinations are only held in Ireland. Grades achieved in continuous assessment, based on course assignments, together with grades attained in written examinations will be considered jointly in determining the final module grade, normally on a 50/50 percentage ratio basis. Where appropriate, particularly at the postgraduate level, some module grades are determined by continuous assessment alone. What other online services are available? All DCU Connected students have online access to the University Library. You may browse and search the DCU library catalogues online, wherever you are. At the undergraduate level we strongly encourage students to make use of the online journal databases provided by the Library. At the postgraduate level these online journals are an essential part of your study as they provide access to a huge range of full-text academic journals. They also allow you to access a wide range of other online resources, such as the back catalogue of a large number of newspapers. If you are living in or visiting Ireland, then you can also physically access the Library on a DCU campus. DCU students also have access to a wider range of learning and development services, including online resources for supporting study skills, academic referencing, careers advice, and so on. In most cases for learning-related issues the first person you should contact is your tutor/lecturer. They can then advise you on your options and/or the most appropriate course of action. In the case of administrative matters, we suggest you contact the Open Education Unit which manages many of our DCU Connected programmes. 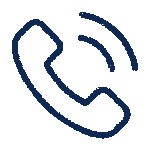 The Open Education team will be able to advise you on who to contact if they are unable to follow up on the matter on your behalf. What is the Open Education Unit? The Open Education Unit plays an important role in supporting many of our students who are studying through DCU Connected. The Unit is part of the National Institute for Digital Learning and is committed to helping students achieve their educational goals without the need to regularly attend traditional campus-based classes. The Unit has a number of important functions, including assisting students in selecting the right programmes, managing students’ needs throughout the academic year from registration to examinations, and responding to student enquires. It also supports the high quality design, development and flexible delivery of modules and programmes available to students through DCU Connected. Dublin City University has over 30 years experience of providing flexible access to higher education and over this time thousands of students have graduated with our world-class degrees. The Open Education Unit has a team of highly experienced staff committed to supporting your learning, wherever you reside. We are here to ensure that we support your learning needs. As part of the National Institute for Digital Learning we are also committed to ensuring that your DCU Connected programme of study is informed by the latest research on the use of new digital technologies for teaching and learning. All programmes offered through DCU Connected are awarded by Dublin City University. In the case of programmes taught in association with our strategic transnational partners, an additional qualification may also be issued by the local institution. At what level is the degree awarded? All undergraduate degrees are Honours Degrees (Level 8 in the Irish National Framework of Qualifications or NFQ). Postgraduate qualifications also adhere to this framework. What are the entry requirements for Undergraduates? No previous qualifications are required for our undergraduate programmes if you are over 23 years of age. Those under 23 years on 1st January of the forthcoming academic year must meet the normal entry requirements of Dublin City University, which are as follows: Grade C3 in two Higher Level subjects and Grade D3 in four Ordinary or Higher Level subjects including Mathematics AND English or Irish. If you are under 23, a copy of your Leaving Certificate (Ireland) results must be forwarded to the Open Education Unit to complete your application. Can I get credit or exemptions for prior certified learning? Applicants with suitable prior qualifications may apply to be exempted from the requirement to complete some modules on the undergraduate programmes. Students are required to firstly apply for a place on the programme and, once their application has been accepted, they can apply for exemptions. Students who are applying for exemptions are not normally required to pay the deposit until they know the outcome of their exemption application. Further information on exemptions is available in the specific programme sections under the 'Recognition of Prior Learning' heading. How much time does it take to complete a degree? The most common difficulty experienced by our students relates not to the course content itself, but to the challenge of fitting study time into a crowded schedule with many other commitments. Ask yourself 'How much time do you have available for study each week, after you take into account working, housework, family, and social activities'? On average, you will need to spend approximately 12 hours per week for each week of the academic year studying each undergraduate module. It is recommended that new undergraduate students register for only two credit modules in their first year. Is there any compulsory attendance? Generally for DCU Connected’s undergraduate programmes, attendance at face-to-face tutorials is not compulsory. Obviously, attendance at examinations is compulsory in order to successfully complete modules (for those module with examinations as part of their assessment.). A few modules have compulsory seminars or workshops but these are kept to a minimum. We are also piloting online examinations in some modules. What are the entry requirements for Postgraduates? Chartered membership of an engineering institution such as the Institute of Engineers of Ireland or a professional accounting body such as the Institute of Chartered Accountants.A Level 7 qualification in a subject in a relevant discipline or non-chartered membership of a professional body, along with at least three years relevant work experience.A level 8 qualification in a non-relevant discipline along with at least three years relevant work experience. Evidence of substantial relevant work experience. Such applicants will be required to submit a CV in support of their application and may be required to attend for interview. Are exemptions available for prior certified learning? Exemptions are not granted for any Masters level module. Who awards my Masters Degree? All programmes offered through DCU Connected are awarded by Dublin City University. What level is the MSc degree awarded at?